I have an electric one that can be used single handed., but it is still easier with 2 hands. 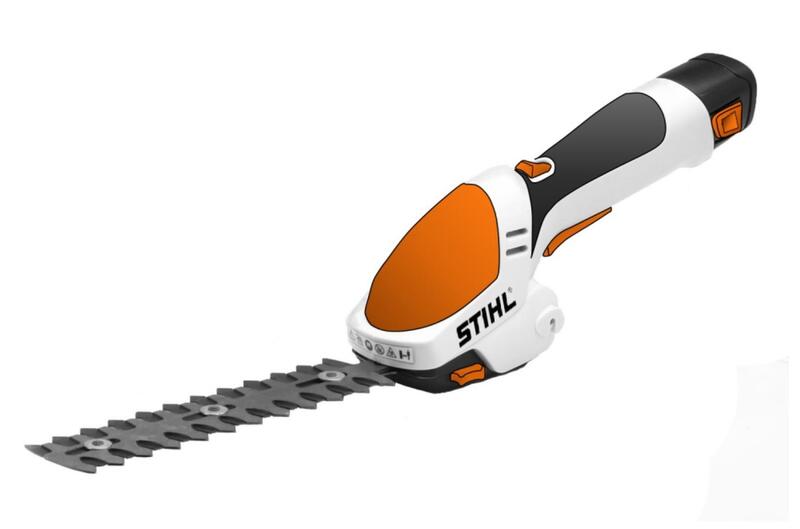 I borrowed a neighbour's Bosch cordless hedge cutter a few weeks ago and it's light enough to use with one hand, but not easy, as the safety interlock on the trigger makes it hard to use with one hand, although I think you could probably manage it with practice. I was surprised how well it worked, TBH, better than I expected for a lightweight bit of kit. The hedge I was trimming was our side of the neighbours beech hedge, which included some pretty thick stuff, which I was surprised it managed to cut. Best bet might be to go into a local tool shop with your dad and see if he can handle a cordless hedge cutter OK. I reckon there's a chance he could. The alternative is to weigh up the cost of new hedge trimmer against the cost of getting someone in to cut the hedge. It sounds a bit insensitive, but, realistically, even if he could manage a cordless hedge trimmer now, how long is that likely to last? Might make more sense to just bite the bullet now and find a local chap to come in and do the hedges a couple of times a year. There's chap in our village who does gardening work like this for about £15/hr, which may well be cheaper than buying new tools to do the job in the long run. Thanks for the ideas, yes...... it would be best to pay a local chap but my dad is really old school and he enjoys doing his chores. I think one day he will pass on the work but this needs to be a staged step down, a graceful retreat if you like. I will get him into the tool shop..... it has very limited choise but better than nothing and hopefully we will get the idea. I don't know if this sort of thing is any good...only 3V so not much power? Has your father considered getting a light cordless one and sitting down while using it? There arE couple more options. This is a single handed 7.2V device from a Company called Terratek. £30. Weighs 1kg. Comes wIth a 5 inch hedge cutter and a 3 inch trimmer. Can get an extendihandle, and a longer hedge cutter. 1hr run time. or a Wolfgarten ACCU60 Comfort. Similar but 800g. Or depending on whether It is serious hedge cutting or eg fettling privet or box, then something more like a set of manual sheep shears could work, since they spring back and have 15-20cm blades. Also depends on your dad’s hand strength. One place to ask advice might be Age U.K.? There are some that look like they could be used with one-hand, though I'm not sure how comfortable it would be. For example, there's this hedge trimmer that can be hired from Frank Key. Might be worth a try. How a out something like this? Had something similar in Lidl today but I didn't look too close. Thanks for the help, I ended up getting him the one below, it’s the best of a bad bunch...... he is now waiting for some nice weather. I will report back if it’s been a success or failure.